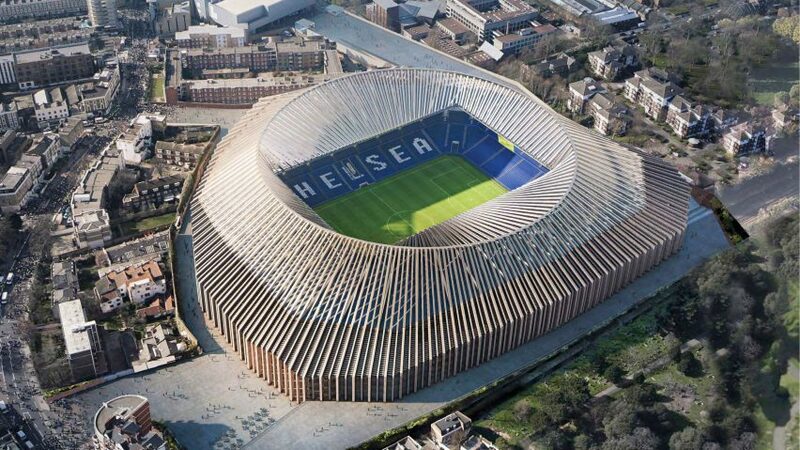 Herzog & de Meuron's plans to update Chelsea FC's Stamford Bridge stadium have been put on hold indefinitely due to an "unfavourable investment climate". Chelsea Football Club released a statement today saying the £500 million renovation plans by the Swiss firm had been put on hold. "No further pre-construction design and planning work will occur. The club does not have a time frame set for reconsideration of its decision," reads the statement. "The decision was made due to the current unfavourable investment climate." The move comes amid ongoing problems with the UK visa of Roman Abramovich, the Russian owner of Chelsea FC. Abramovich, who has yet to be issued a new visa, recently took Israeli citizenship and it is understood that the uncertainty over his access to the UK affected the decision to postpone work on the stadium. Herzog & de Meuron's plans to redevelop the stadium were first unveiled in 2015 and granted planning permission in 2017. Earlier this year the local council had to step in to prevent a court injunction against the design of the stadium, which a group of residents claimed would block light to their properties. Jacques Herzog and Pierre de Meuron's Basel-based practice was brought on board to increase the spectator capacity of the stadium, which is located in the London Borough of Hammersmith and Fulham. The defining feature of the design was the addition of 264 brick piers, which would enclose the existing stadium to create a covered walkway around its perimeter. The brick pillars would have supported a steel ring above the pitch, creating the necessary room for extra stands as well as a shop, museum and restaurant. Stamford Bridge was originally built in 1876 to designs by Scottish architect Archibald Leitch and used as an athletics club before becoming Chelsea's home ground in 1905. Herzog & de Meuron, which came in at number four on the Dezeen Hot List 2017, is currently working on the conversion of a Moscow brewery into a stilted housing complex and a residential tower near Miami Beach.